9. 2 3 and 4 nights /england?adult=2χld=0&infant=0∋ghts=7〉e=3&pe..
33 links pointing to Chooseacottage.co.uk were found. 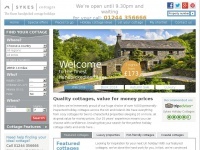 Individual words like Cottages, Holidays, Cottage and Holiday are frequently used in text links from other websites. The most important links to the website are from Rspca.org.uk and Walkhighlands.co.uk. The sites /did and /dpp are frequently referenced by external sources. 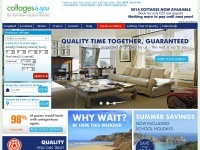 The table shows the most important links to Chooseacottage.co.uk. The table is sorted in descending order by importance. 6. www.pdsa.org.uk Start 2013 on a high - book a holiday through PDSA! The table shows websites of Chooseacottage.co.uk, which are often linked by other websites and therefore they are classified as important content. The web server used by Chooseacottage.co.uk is run by Akamai Technologies and is located in Cambridge, USA. This web server runs 3 other websites, their language is mostly english. 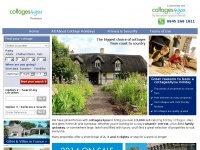 The Chooseacottage.co.uk websites were developed using the programming language ASP.NET and served by a Microsoft-IIS server. For managing the data of the webpages the CMS DotNetNuke is used. The website uses the latest markup standard HTML 5. The website does not specify details about the inclusion of its content in search engines. For this reason the content will be included by search engines. 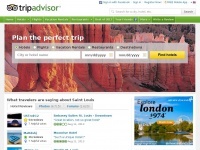 Moulinchezlord.com - An­cient Wa­ter Mill .... Self Cate­ring Holi­day Cot­ta­ge ..
Sykescottages.co.uk - Holi­day Cot­ta­ges To Rent - UK Cot­ta­ge Holi­days - Sykes ..
Lovetoescape.com - Holi­day Accom­moda­tion - Holi­day Cot­ta­ges, ..
Cottages4you.co.uk - Holi­day cot­ta­ges in the UK, Fran­ce, Ire­land & Italy | ..